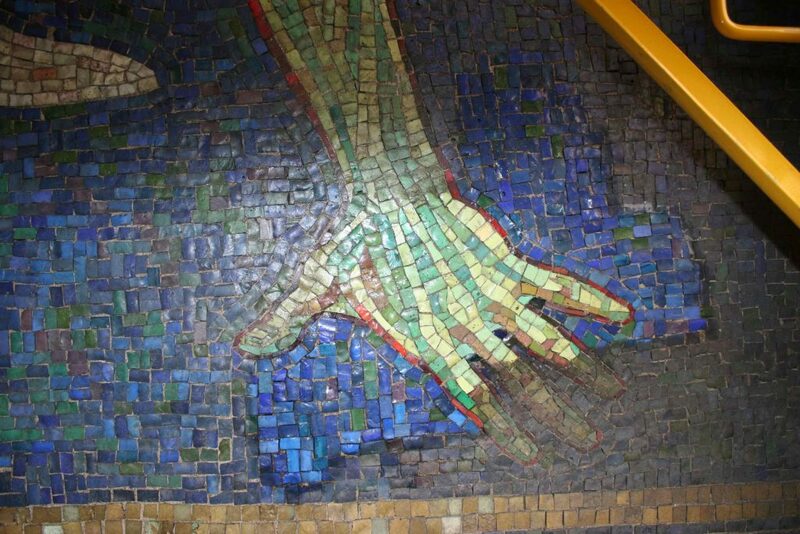 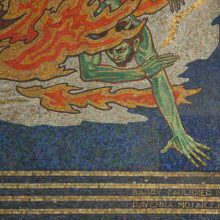 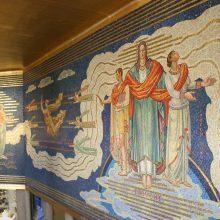 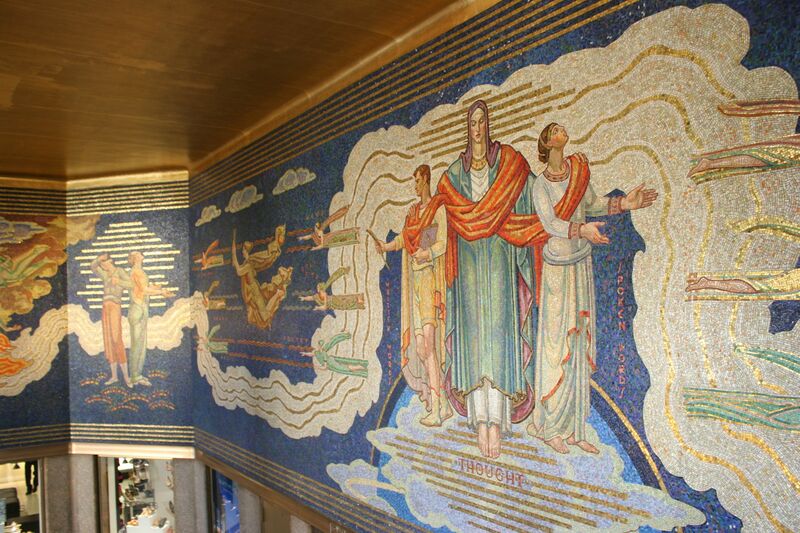 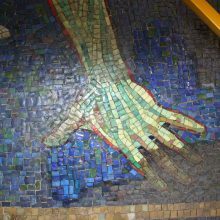 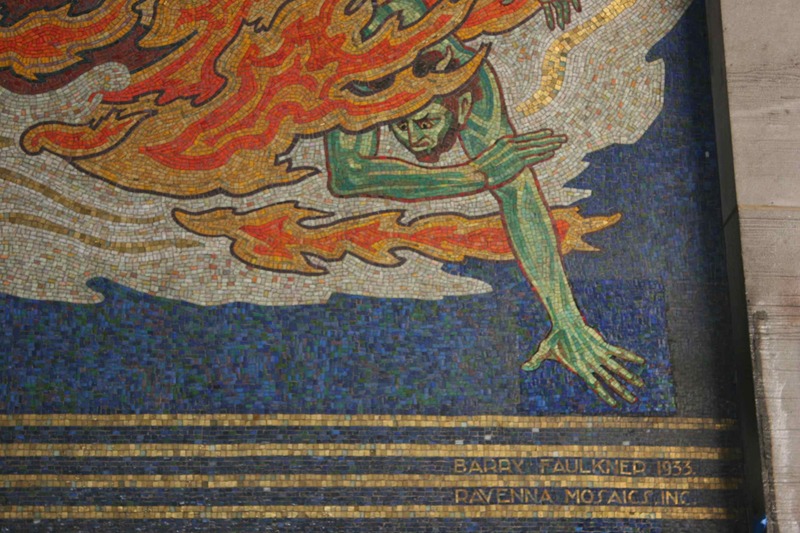 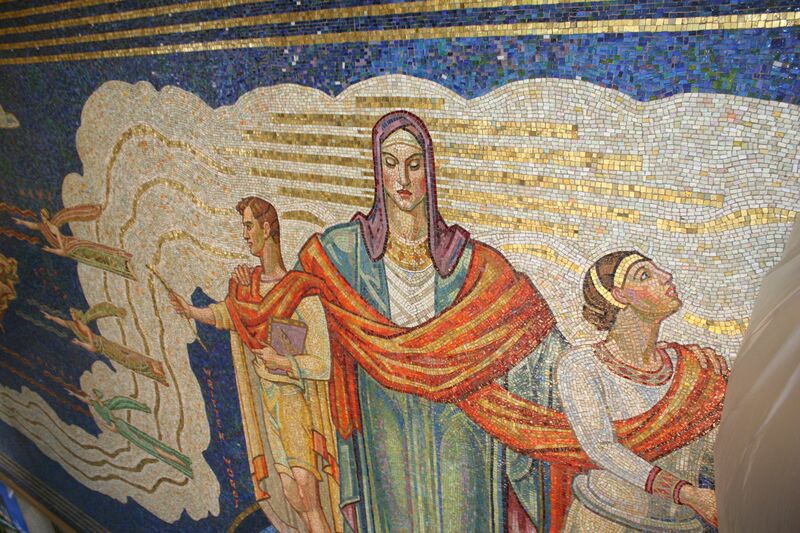 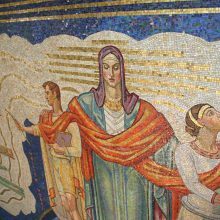 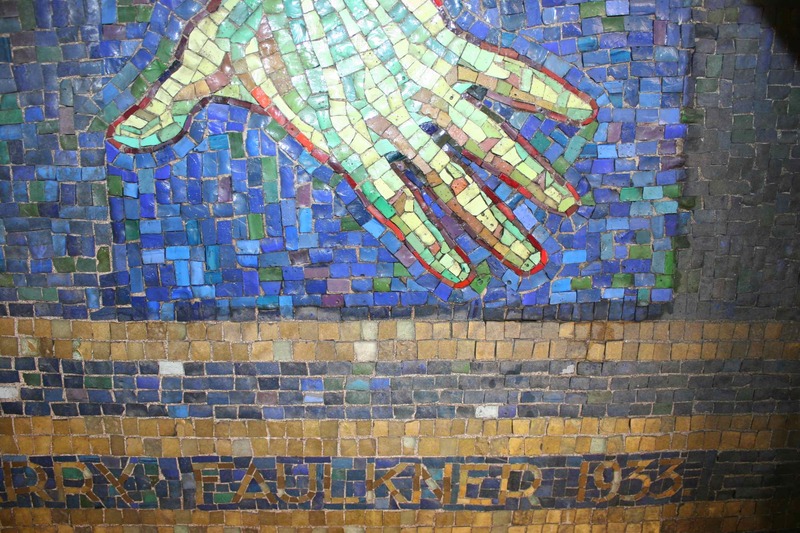 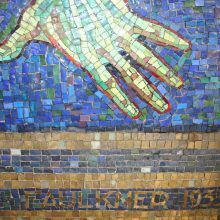 Created by Barry Faulkner in 1933 and entitled ‘Intelligence Awakening Mankind,’ the mosaic depicts the triumph of knowledge over the evil of ignorance. 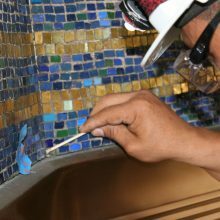 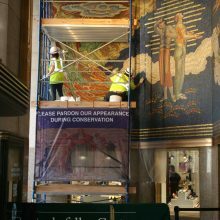 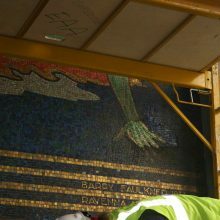 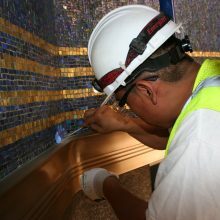 It is composed of over one million glass tiles in two hundred and fifty colors, hand-cut and hand-set, and occupies five walls at Rockefeller Center at 1250 6th Avenue. 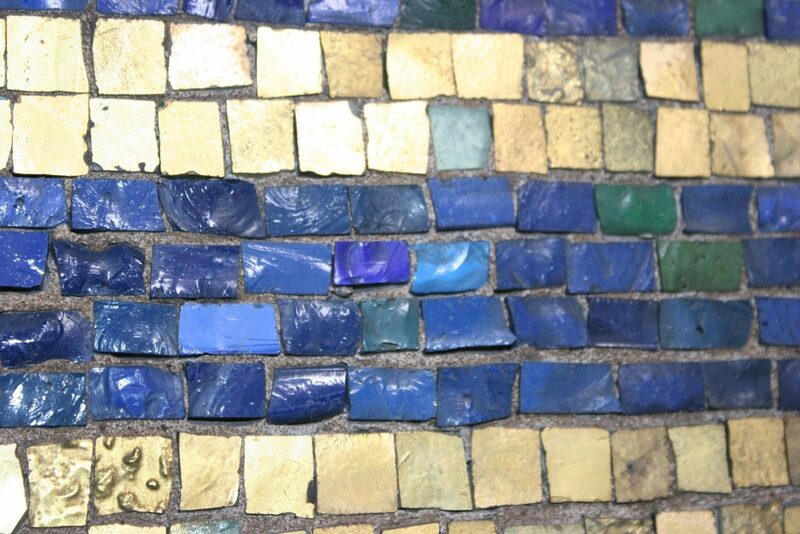 The immense mosaic had become soiled over time. 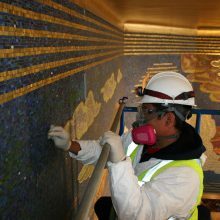 Prior to cleaning the work, EverGreene conservators investigated the entire surface for instability in the cement substrate, grout and tile adhesion. 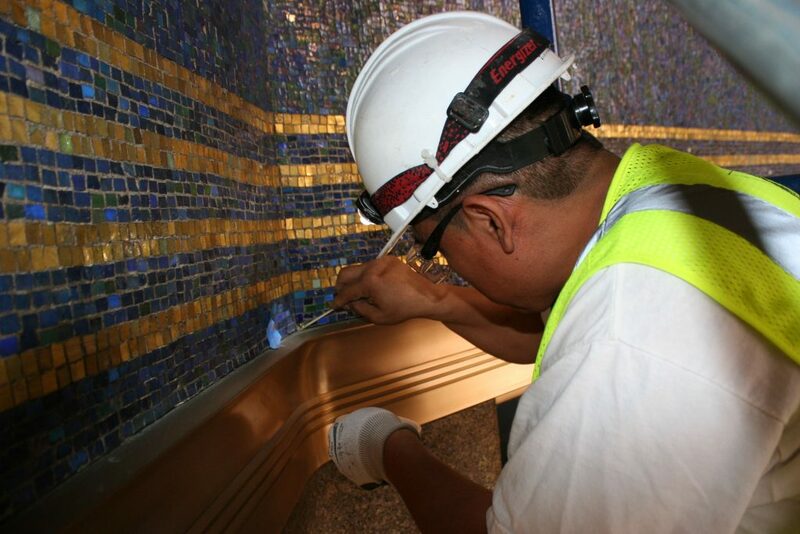 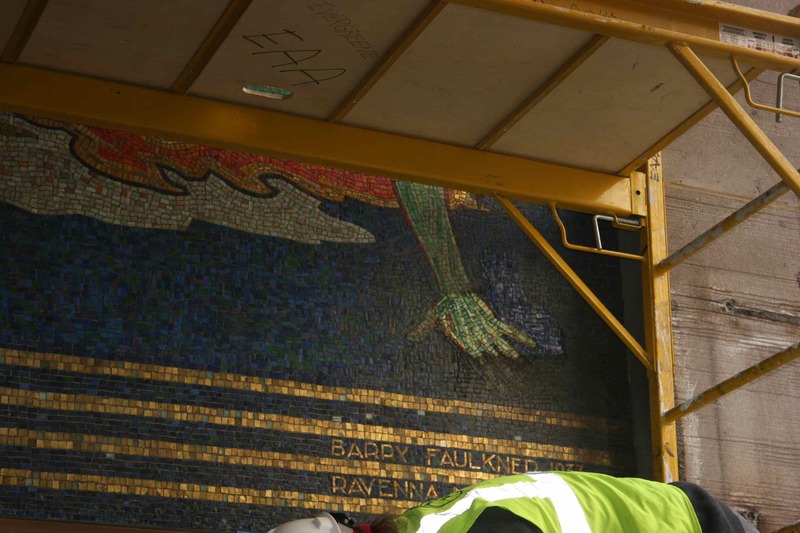 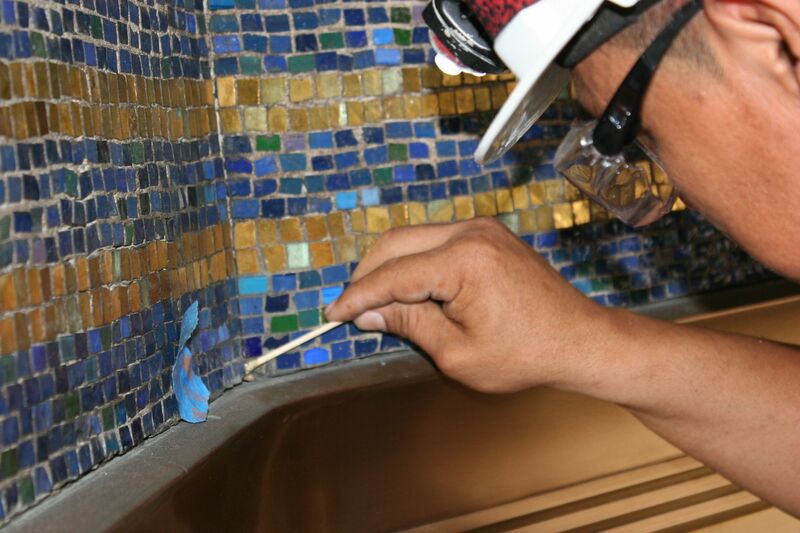 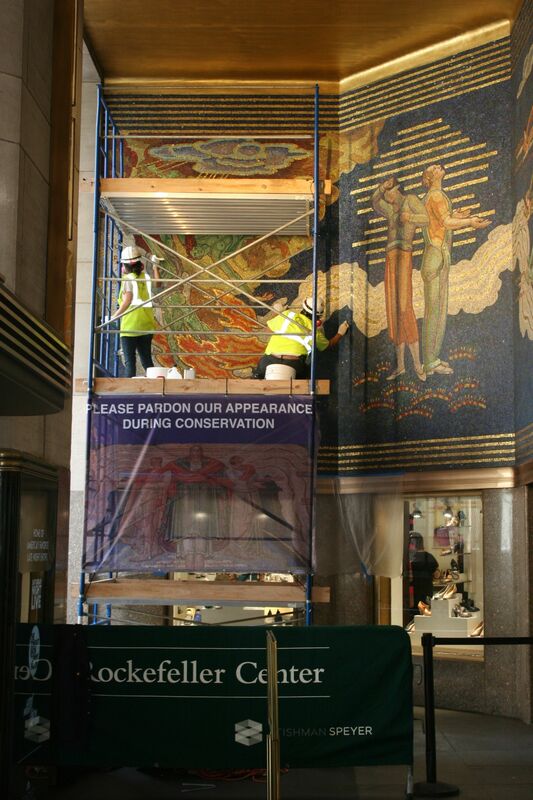 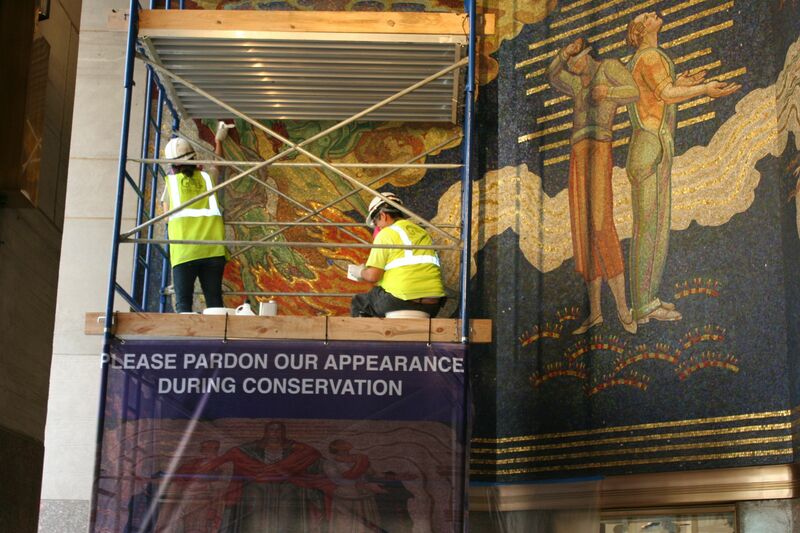 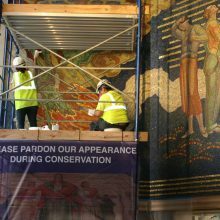 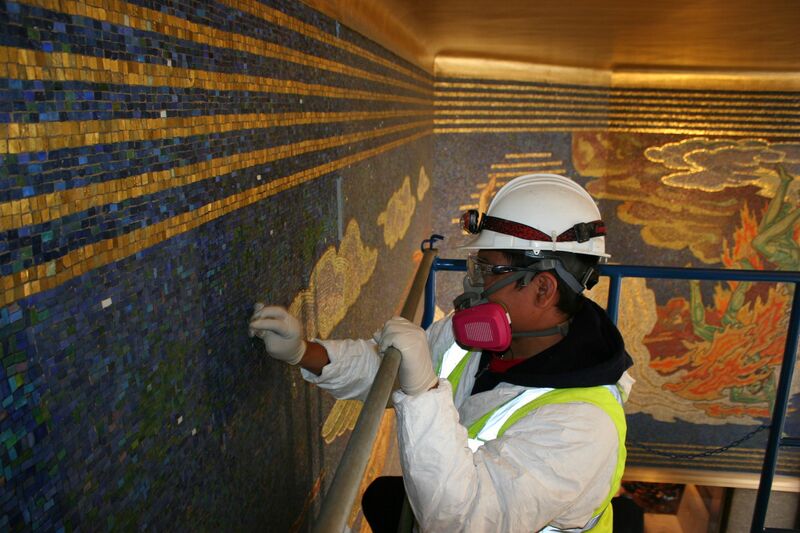 The conservation team implemented treatments from a rolling tower with three decks to access the 22’-tall mosaic. 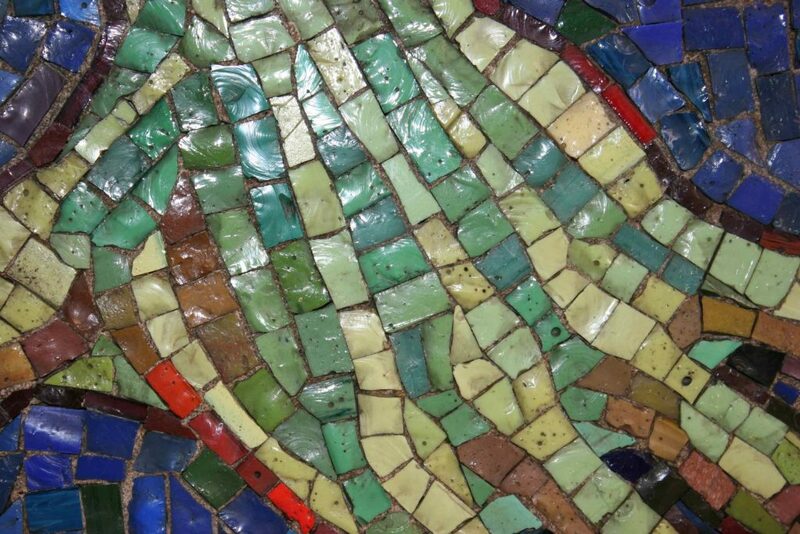 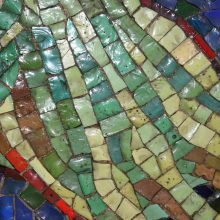 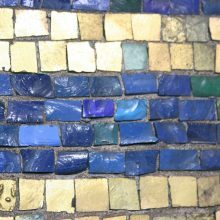 Fewer than 10 tesserae were missing from the mosaic. Replacement missing tiles were cut to the exact size and shape of the original and color matched to complement adjacent composition and tiles.